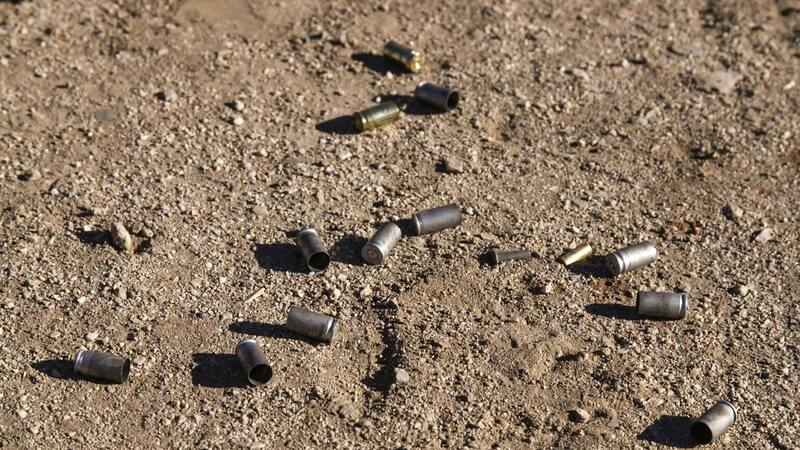 February 13, 2019 / Modified feb 13, 2019 1:28 p.m.
Bullet casings on ground at an outdoor firing range. A gun control group is urging state lawmakers to pass a bill that would prohibit people convicted of domestic violence crimes from owning a gun. The Arizona chapter of Moms Demand Action for Gun Sense in America held a news conference Tuesday to raise awareness around Senate Bill 1219. The bill would make it illegal for anyone convicted of a domestic violence offense or a dangerous crime against children from having a firearm and a variety of other weapons. Missy Paschke-Wood, a volunteer with the group, said the bill would allow Arizonan officials to enforce federal laws that block people convicted of these crimes from owning a firearm. "The bill really is important because it aligns Arizona state law and the federal law, and will prevent people who are convicted of the crimes of domestic violence from possessing a firearm, even after they've completed their probation, which really closes this very dangerous gap in state law," said Paschke-Wood. Current Arizona law prohibits people convicted of domestic violence crimes from owning a gun only while they're on probation. SB 1219 would indefinitely block these offenders from owning a firearm and require them to turn in any guns they currently own. The bill also applies to people who have an order of protection against them, and those who committed a crime with the use or attempted use of physical force or threatened use of a deadly weapon. However, people who have orders of protection against them would be allowed to request their firearms back when the orders against them expire. If the previous owner could legally own a gun again according to both state and federal law, the law enforcement agency would return the weapon after completing a background check. Paschke-Wood said the bill would also help protect people abused by a dating partner. Under federal law, people convicted of domestic abuse toward a spouse cannot own a gun, but the law does not cover noncohabitating couples who are dating. Paschke-Wood said SB 1219 would protect individuals abused by their unmarried partner. "It’s the type of bill that I bet many Arizonans feel like is already on the books, because it's so common sense. Why would we have a boyfriend loophole?" said Paschke-Wood. The U.S. Department of Justice reported that approximately 16 percent of the women killed between 1980 and 2008 were murdered by their dating partners. Close to 26 percent were killed by a spouse or ex-spouse. During this timeframe approximately 17 percent of the people murdered by a gun were women. In order for the bill to have a future this legislative session, the Judiciary Committee would need to hear it by Feb. 22.